Introducing the ZFT Maxx system tees. 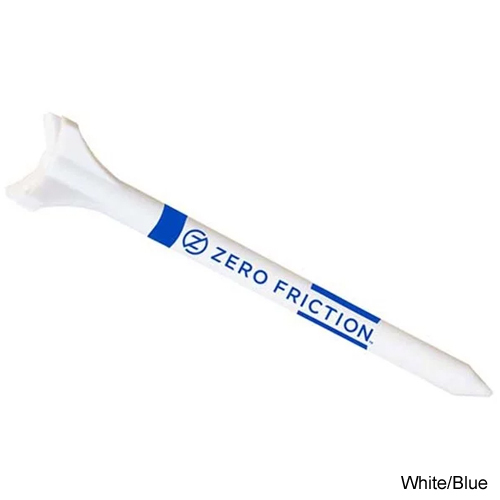 These tees offer the same great design, distance and performance as Zero Friction's original 4-prong tees with 66% reduced contact area but are extra-large, extra thick and extra durable. Great for beginners and those who want easier ball placement on the tee. Available in both 2 3/4" and 3 1/4" and a height system striping for easy placement. If you're already a fan of our original 3-prong and 4-prong tees but are looking for something larger, you'll love the ZFT Maxx tees. 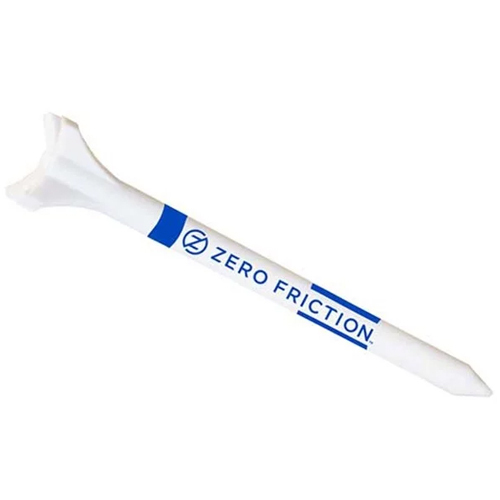 Guaranteed lowest price on Zero Friction ZFT Maxx 4-Prong Golf Tees and all Zero Friction Tees with Free Shipping on orders over $99 at Golf Discount, your favorite authorized Zero Friction retailer.